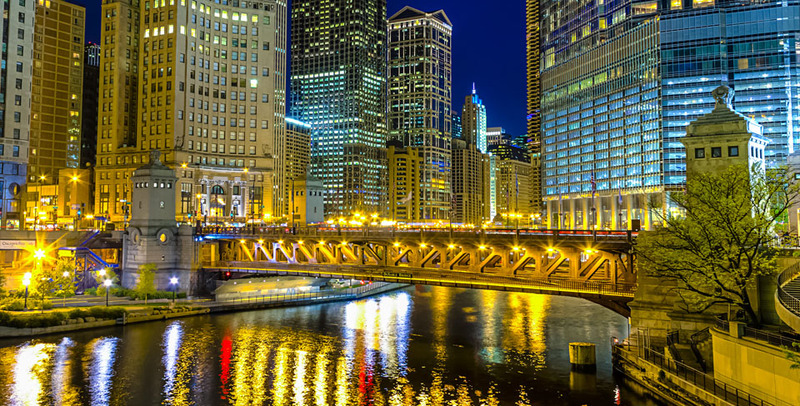 Robert H. Rosenfeld & Associates, LLC is Chicagoland’s premier law group, concentrating on Real Estate Tax Law, Commercial Litigation, Technology Law and Business Law. Robert H. Rosenfeld & Associates provides a unique blend of legal and business expertise, and delivers these services to its sophisticated clientele efficiently and effectively. At Rosenfeld Law Group, the emphasis is on successful results for our clients, and we have been achieving our goal since 1985. Robert H. Rosenfeld & Associates, LLC concentrates on real estate tax law, and has for many years. We have the knowledge experience and expertise to help you fight against the ever increasing burden of high real estate taxes We are able to review your assessment and determine whether or not you have a case to REDUCE YOUR REAL ESTATE TAX LIABILITY. And, our legal services are 100% contingent based and therefore there are no attorney’s fees unless and until we successfully reduce your real estate taxes. There is no risk in letting us analyze your property. Robert H. Rosenfeld & Associates, LLC provides the litigation and trial expertise you need when litigation is unavoidable. We bring decades of court room and civil litigation experience to our clients, and deliver the highest quality legal work at the most cost effective pricing in the industry. We recognize the risks and rewards of litigation from both a legal and business perspective, allowing our clients to make the most informed business decisions possible. Whether your case involves a breach of contract, consumer fraud, a leasing matter, defamation, injury or other lawsuit, we have the team that can best meet your needs. Robert H. Rosenfeld & Associates, LLC was dealing with technology law matters when 300mb disk packs were the rage! That is how long we have been involved in technology law issues. From leasing to disputes, we can help. Robert H. Rosenfeld & Associates, LLC represents a wealth of small and medium businesses on a wide variety of business issues, including contract drafting and interpretation, mergers and acquisitions, establishing and refining business methodologies, and resolving disputes short of litigation. Gain Control over your out of control real estate taxes. We are focused on all types of properties; residential, commercial and industrial, throughout the U.S. Call today for a free consultation. Robert H. Rosenfeld is an experienced attorney, award-winning entrepreneur, business owner and investor. Mr. Rosenfeld has more than 30 years of experience in law and business, and with this diverse background brings a unique and multi-disciplinary approach to solving his client’s legal matters. Rosenfeld has built a mix of successful operations, including a number of boutique law firms, a national reseller of computer hardware, software and services, as well as an international venture capital investment and advanced marketing strategies consulting firm. Mr. Rosenfeld has practiced law since graduating law school in 1985. He was admitted to the Illinois and United States District Court for the Northern District of Illinois bars in 1985. He attended Northwestern University where he earned a Bachelors of Arts degree in History, and graduated from DePaul University College of Law. Mr. Rosenfeld has focused on real estate tax law, commercial litigation, technology law and business law. He has handled a wide variety of legal issues including representing real estate taxpayers with regard to all types of properties in many jurisdictions throughout the country. Rosenfeld’s real estate tax representation runs the gamut of property types, from single-family homes to shopping centers, office buildings, industrial, multi-family residential, hotels and more. He has represented small and medium sized companies to fortune 500 companies. Rosenfeld has spoken often on real estate taxation and the dynamics of entrepreneurship, including technology start-up opportunities and financing, and has published on matters including insurance reimbursement to medical providers and Y2K liability for medical offices. Kyle G. Kamego focuses on real estate taxation and his depth of property tax knowledge is national in scope. Mr. Kamego concentrates on representing owners of residential, condominium, commercial and industrial properties in challenging property tax assessments. Through his successful appeals, Mr. Kamego has achieved unparalleled property tax savings and refunds. 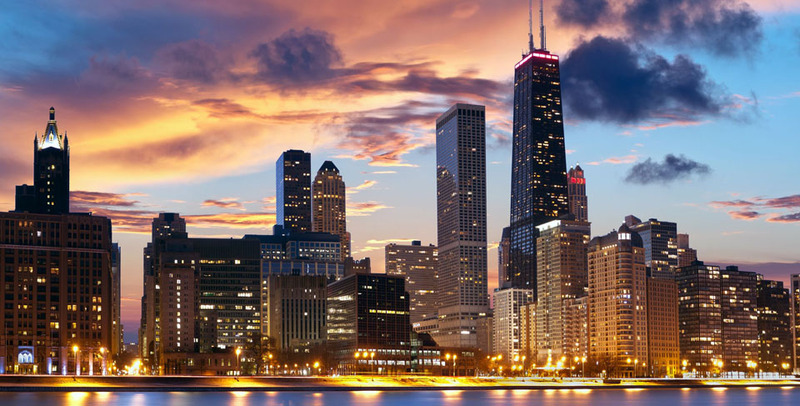 In Illinois, most notably Cook County, he represents a wide range of clients before the Assessor’s Office, the Board of Review, the State of Illinois Property Tax Appeals Board (the “PTAB”) and in the Circuit Court of Cook County. Mr Kamego has also handled issues involving warehousing structures, PIN divisions, tax incentives, and tax exemptions. Mr. Kamego is admitted to the Illinois Bar. He earned his Juris Doctor degree from the DePaul University College of Law and earned a Bachelors of Arts degree in History from DePaul University. Mr. Kamego is currently an active member of the Chicago Bar Association and the Chicago Bar Association’s Real Estate Taxation Committee. Hannah M. Rosenfeld focuses her practice on real estate taxation. She currently represents owners of residential, commercial and industrial properties in analyzing and challenging property tax assessments. Ms. Rosenfeld has experience regularly counseling clients on matters of tax projections, incentives, and exemptions, while representing clients before various taxing authorities in multiple venues. Prior to joining the firm in 2017, she was an associate attorney at Winston & Strawn, where she specialized in capital markets and securities transactions. Ms. Rosenfeld was admitted to the Illinois bar in 2014, after earning her Juris Doctor degree from the University of Texas and her Bachelor of Arts degree from the University of Michigan. Jeremy M. Rosenfeld, Attorney at Law, focuses his practice on real estate taxation. He currently represents owners of residential, commercial and industrial properties in analyzing and challenging property tax assessments. Mr. Rosenfeld has experience regularly counseling clients on matters of valuation appeals, tax projections, incentives, and exemptions, while representing clients before various taxing authorities in multiple venues. Mr. Rosenfeld was admitted to the Illinois bar in 2018, after earning his Juris Doctor degree from Loyola University Chicago School of Law, and his Bachelor of Arts degree from the University of Wisconsin-Madison.